Paris has pulled off its most ambitious 'car-free day' yet, with 105 square kilometres of the French capital set aside for pedestrians and cyclists. In its third year, the ban on all private cars and motorised bikes took place between 11am and 6pm on Sunday in a fight against air pollution in the city. An exciting new transport initiative has launched at Stockley Park with the aim to support and encourage businesses on the park to adopt and promote sustainable transport initiatives by offering staff discounts on public transport, cycling discounts, salary sacrifice schemes, journey sharing and much more. App-based, ride-hailing services like Uber have become a popular transportation option in many major cities across Europe. But they’ve also come from the region’s traditional taxi service providers for skirting established industry regulations. Uber-style disruption isn’t the only way to harness the power of digital to improve transportation, however. Some recent efforts offer a less confrontational approach to digitally enhancing the way people get around. In Germany, Berlin-based startup door2door announced a plan this week to create the country’s first on-demand mass transport solution for a rural area in the Bavarian Forest town of Freyung. 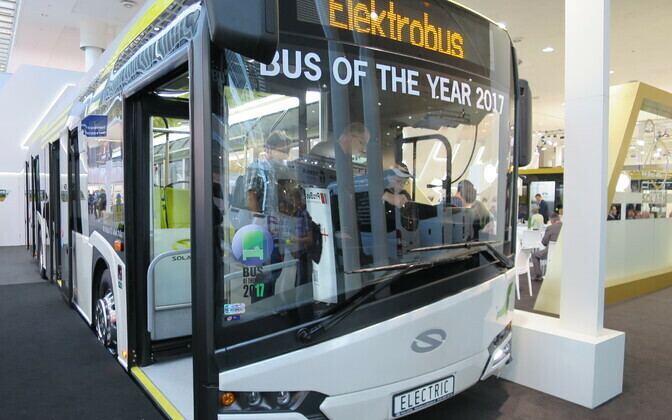 Tallinn public transportation company Tallinna Linnatranspordi AS (TLT) is to begin testing the fully electric Solaris Urbino 12 Electric bus in the capital city on Tuesday. Having achieved ubiquity in almost every urban centre in Britain by the end of Victorian age, the electric tram was killed off by the rise of the automobile in the middle decades of the 20th century. Since 2002 EUROPEANMOBILITYWEEK has sought to influence mobility and urban transport issues, as well as improve public health and quality of life. The campaign also gives people the chance to explore the role of city streets, and to experiment with practical solutions to tackle urban challenges, such as air pollution. Join our campaign in 2017 as over 2,000 towns and cities across Europe celebrate EUROPEANMOBILITYWEEK 2017 under the slogan "clean, shared and intelligent mobility."